← My first Wine Bloggers Conference! This is the last practice MW essay that I will place on my blog until after the MW exams in June. I need to start getting into review mode, and so my presence on the internet will slowly dwindle over time, even though you may see me pop on here and there. Oak is one of the best ways to stabilize the color of a red wine. Peter Gago, Penfolds’ Chief Winemaker, will use large old oak barrels for their St. Henri (1460 liter) and smaller new oak barrels for its Grange (300 liter). Even though the former adds very little flavor, the latter is more significant, both wines will benefit from color stabilization. Since Grange and St. Henri are mostly made from the Syrah/Shiraz variety (Grange will usually have a small % of Cabernet Sauvignon), which has high levels of tannins, the benefit of color stabilization helps to influence the style of the wine. I know at one time it would seem odd to associate color with quality, but today’s consumers certainly do make that connection with red wines. Tannins are typically softened by polymerization, which can help influence a smoother texture in a wine. Peter Gago said that this was their philosophy with their oak regimen during maturation aka élevage – to create more accessible wines that could be drunk on release or aged for a significant amount of time. The influence of the oak aging, with the idea that he limits skin contact (a discussion for another time), helps to make their wines appealing to those who do not have the resources and/or patience to wait. New oak can add a lot of interesting secondary flavors to wine. They can take the form of spice, nuts, smoke… just to name a few. The toasting of the oak barrel plus the unique properties of the wood combine to contribute an additional layer of flavor complexity. It is interesting that Didier said that Fèvre did not believe in any new oak because they did not want added oak flavor. It is not uncommon for a small percentage of new oak to be used by other Chablis producers for their 1er Cru and Grand Cru – actually I have used that little piece of information when I have had two Chablis wines in front of me in a blind tasting, and I had to tell which was higher quality – I looked for that little hint of oak to point me in the right direction. Also, Bouchard and Fèvre are both owned by Henriot, and so Fèvre uses the Bouchard barrels once they become two years old. So maybe it is not just a stylistic choice, but also one of practicality. As many of us know, new French oak is an important stylistic component for the sweet wines of Sauternes. Chateau d’Yquem typically ages their great sweet wine in 100% new French barrels, while most other top chateaux use 50%. I can always guess Sauternes on a blind exam. I’m not bragging, I have made a lot of mistakes, and I still make a lot of mistakes, but my point is that Sauternes has a very specific smell to me. Every time I smell Sauternes, I think of a piña colada. I have never used that as a descriptor note on an exam, but it is what always comes to mind. There is always a strong coconut and spicy note to it. Then of course I confirm the guess by the palate – lower acidity than some of our other botrytized friends: TBA, Coteau du Layon or Tokaji. I feel the high percentage of new French oak is such a distinctive part of the aroma and flavor of Sauternes. And let us move on to maturation. 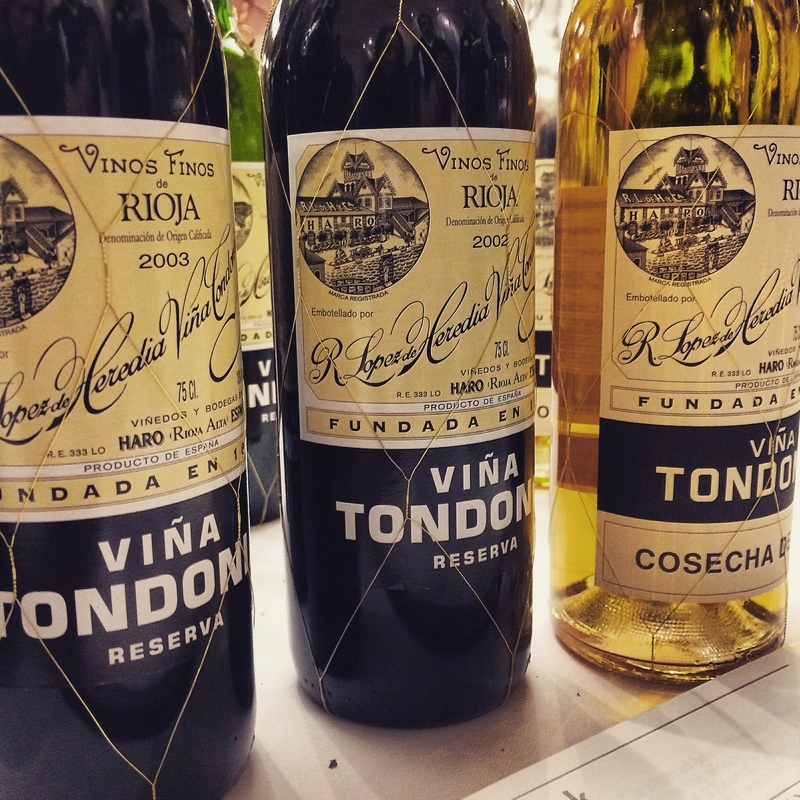 When we think about Lopez de Heredia (LdH), what do we think of? If we are a wine nerd, “How much we love them!” What about state of maturation of those wines? Even if we do not know the vintage and someone just handed us a glass of LdH, we know that baby has some serious age just by the smell and taste of the wine. This is due to their oxidative process of keeping their wines in old, large barrels. There are many different types of Champagne styles. One category would be more oxidative vs protective styles. I could use Bollinger as a great example, but I’m going to use Krug. Why? I find it fascinating that Krug is one of the few “larger” Champagne houses that completely block malolatic fermentation (MLF), yet it comes across as a full bodied Champagne, one you could have with dinner. I believe this is due to their practice of fermenting 100% of their base wine in seasoned 205-liter oak casks. It not only gives a more muted fruit style that some associate with old world terroir, but it gives the impression of more weight by the presence of tertiary notes such as bruised apple. Also, it clarifies and micro-oxygenates the wine helping to influence a resistance to oxidation. There are “cheaper” ways to get the maturation and style attributes of a barrel, but not at barrel prices. Staves (adding USD$.13/liter) and chips (adding USD$.02/liter) cost significantly less than barrels (new French oak adding USD$3.50/liter), and hence brings a winemaker’s overhead cost down, and hopefully profits up – depending if they can sell their wine! But staves and chips are not only used with entry level wines. Joshua Maloney, previous winemaker at Chateau Ste. Michelle in Washington State and currently co-owner of Uprooted Wines, is an advocate of using oak chips at fermentation to eliminate green characters. He does admit the integration and quality is not as good as oak influences from a barrel, but he says that it is a better alternative option rather than adding tannin to combat green notes, which has been prevalent among his colleagues. How can a winemaker influence maturity of a wine while using staves and/or chips? That is where micro-oxygenation comes into the picture. Small micro-bubbles of oxygen are fed through a device placed at the bottom of the tank and controls oxygen which is dissolved into the wine. Randall Grahm, Bonny Doon in California, is a big proponent of it. He says when it is practiced appropriately it can be a great tool in mastering élevage. Conversely, there are many in the science community who think that there is a lot of scientific uncertainty surrounding this technique. Quick side note: an article came out in the February issue of Wines and Vines addressing chips, staves and other barrel alternatives supplying oxygen to the wine by themselves. There is research that is testing the amount of oxygen trapped in these barrel alternatives, and the amount they give to the wine during maturation. But this research is still in its infancy. Are there any negative influences on the maturation and/or style that oak can bring to a wine? As all of us know, sometimes too much oak is used in a wine. But the idea of how much oak or new oak to use is not an exact science. It depends on the intended style and concentration of the wine. Anne Gros, in Vosne Romanée, believes in using more oak for her Pinot Noir wines than her Chardonnay wine. Some other winemakers in Burgundy may disagree with her, but she feels that Chardonnay is a more delicate variety and Pinot Noir has more weight and concentration – of course this may have to do with the fact that her Chardonnay is a regional Bourgogne, and her Pinot Noir wines come from some of the top 1er Cru and Grand Cru in Vosne Romanée. When it comes to maturation, some may say that some producers go too far, creating a wine that is oxidized to a fault. 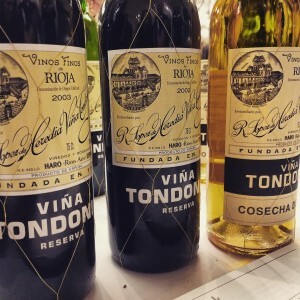 For instance, I have heard from some modern Rioja producers that LdH was a faulted wine. I would not agree with them according to my own taste, but I do have to admit that many consumers would probably find it faulted as well. Furthermore, oak is impossible to completely sterilize, and may harbor spoilage bacteria and yeast, such as Brettanomyces (Brett). 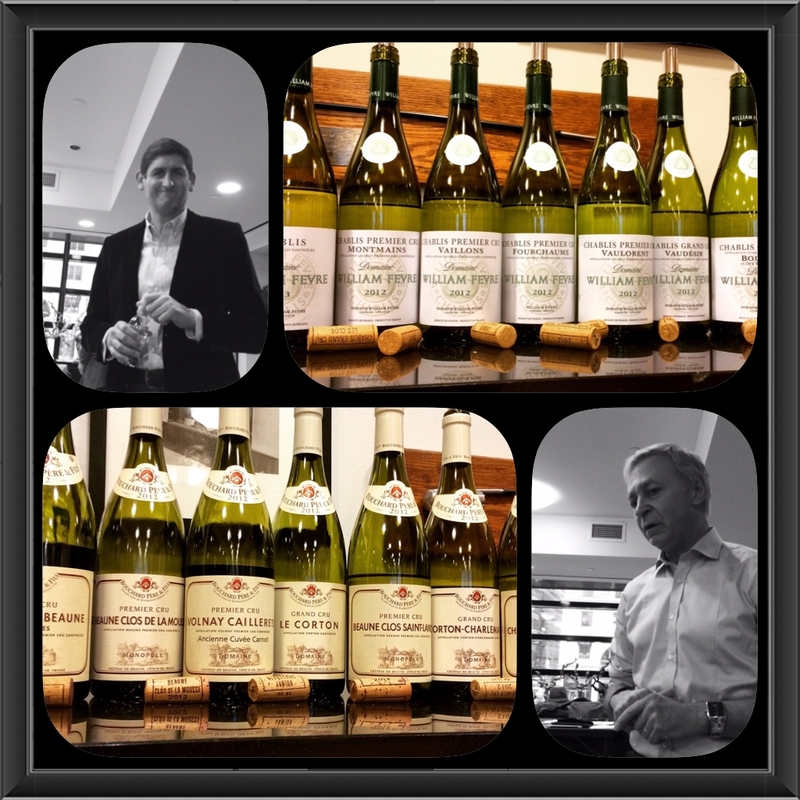 Alternatively, Brett has become part of a positive style attribute for some wineries such as Chateau Beaucastel. It depends on the targeted consumer’s expectation. One thing is for sure, all types of oak have some type of influence on their wines. Those influences may differ depending on the type and age of the oak, and the amount of time spent in these porous vessels. And, as with the Anne Gros example, there is no one scientific philosophy that needs to be followed for the production of a balanced wine. And that is where the art comes into wine. And in honor of Anne-Claude Leflaive may I leave you with a story that she told last year. She said one year they had a stuck fermentation, and she thought all was lost and there was nothing they could do to save it. A person who was visiting them started to play music, and shortly after the music started to play the fermentation restarted again. She did not come right out and say it was the music, but she simply said that there were some things she could not explain, and she surrendered to that idea. I love science, and I know I could never use her story as a valid example, but it was a good reminder that we do not always know the answer, and that’s okay, just enjoy the moment. This entry was posted in Uncategorized and tagged Bouchard, Fèvre, Oak. Bookmark the permalink.